A M A Z I N G This is hands-down my favorite smoothie! 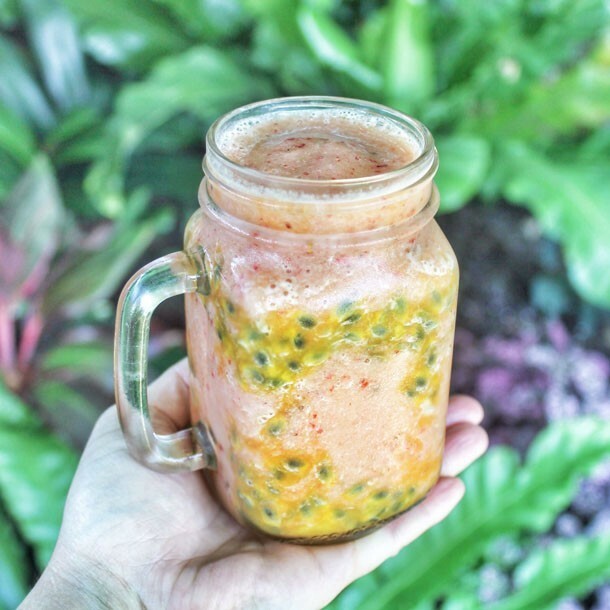 Sunshine on your tongue…tropical paradise in a jar…starburst meets fruity bubble yum…. *Blend the first 4 ingredients together and layer with passion fruit. Mmmmmm! This entry was posted in Uncategorized and tagged Fruit, Passion Fruit, Smoothie, tropical. ← Vanilla Bean, Apricot, Banana Smoothie With Cacao Nibs, Almonds and Figs.